Opportunities to return a large working farm back to a more natural state are very rare. But that is what is happening in the small seaside village of Manomet, not far from the site of the Pilgrims’ 1620 arrival in the town of Plymouth, Massachusetts. 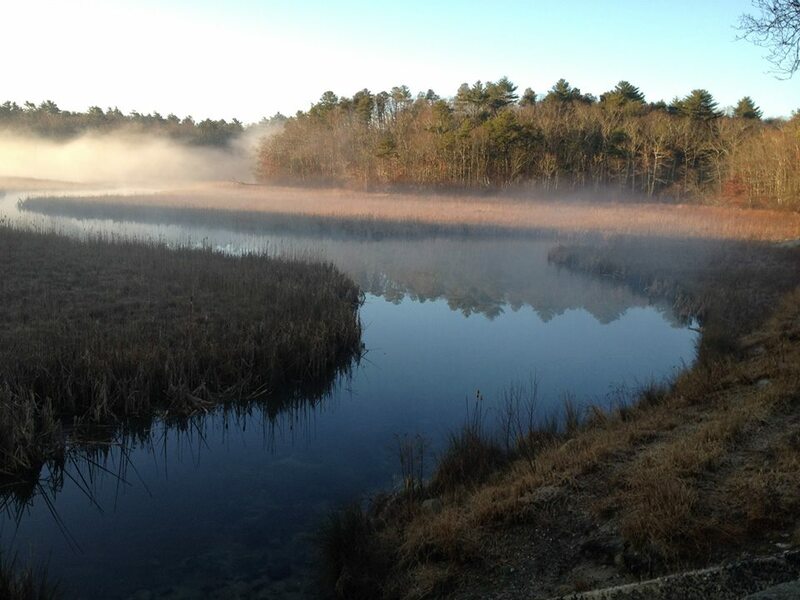 Defined by the Beaver Dam Brook Watershed, Manomet is home to Tidmarsh Farms’ magnificent 600 acres. As you read this, the property is already evolving back to a place of beauty and refuge to benefit animals, the environment (and people as well). This extensive project involves retiring and restoring commercial cranberry bogs, thereby ensuring that the surrounding watershed will be protected from the impacts of pesticides, fertilizers and machines that were used to change and shape its landscape for decades of harvests of the area’s iconic berry. 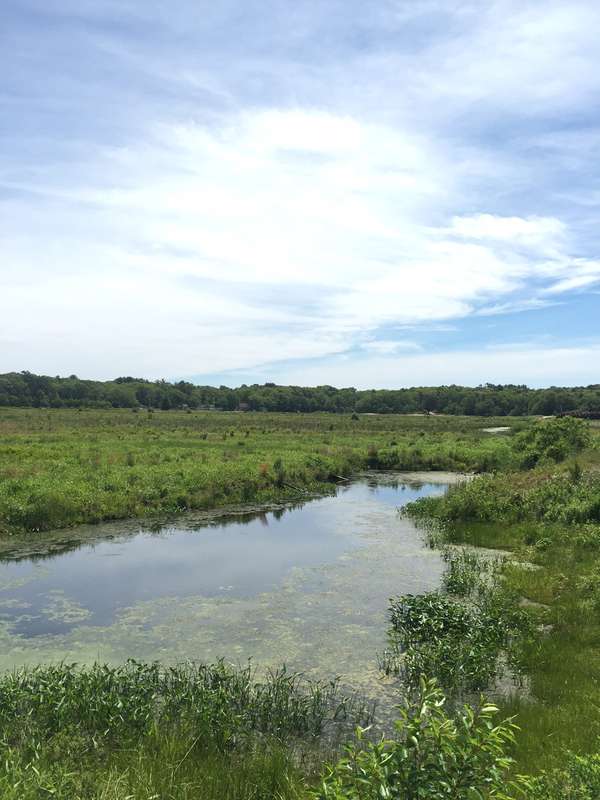 Returning Tidmarsh Farm to its original state will accomplish many missions: restoration of natural wetlands and streams, improving water quality, enhancing biologic diversity and creating a mosaic of habitats. 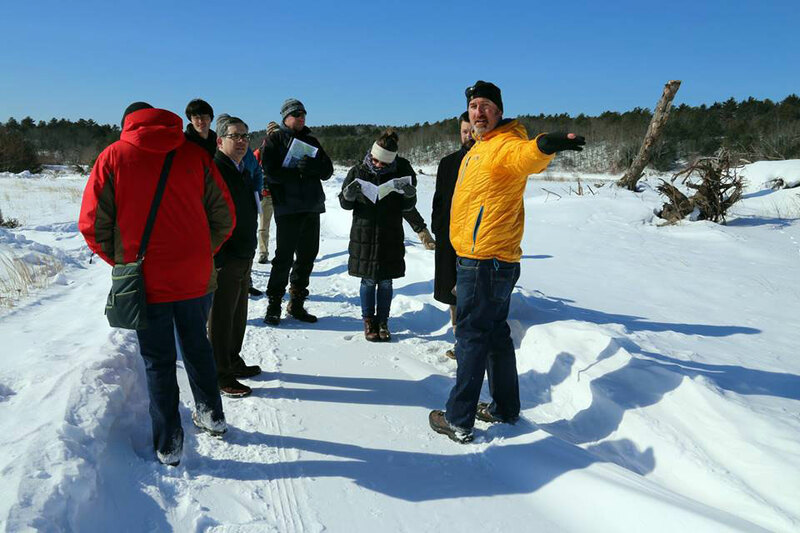 What would you do if you owned 600 acres in southeastern Massachusetts that included a cranberry bog with dams built in 1923, a river running through it and a large peat bog under two feet of sand? This was the question facing Evan Schulman, Glorianna Davenport and the three Schulman children. First, they made the decision to retire from the cranberry business, then, together, they all took a hard look at this sizable property. What they saw was water: lots and lots and lots of water. They wisely met with a slew of professionals and organizations, many of whom later developed into valued collaborators. After weighing many options, they resolved to restore and heal the wetlands beginning with a conservation and restoration easement from the Natural Resources Conservation Services. Glorianna says that the family faced a steep learning curve, but feel fortunate to have been introduced to well-informed, caring people at the beginning of this journey. A heady mix of stakeholders have come together to make this restoration possible. At the helm is Hackman: a man on a mission. He seems to have stepped out of central casting just for this role. He has years of relevant experience under his belt to head up this project. Chief among them, the recent restoration of another cranberry bog in nearby Eel River. 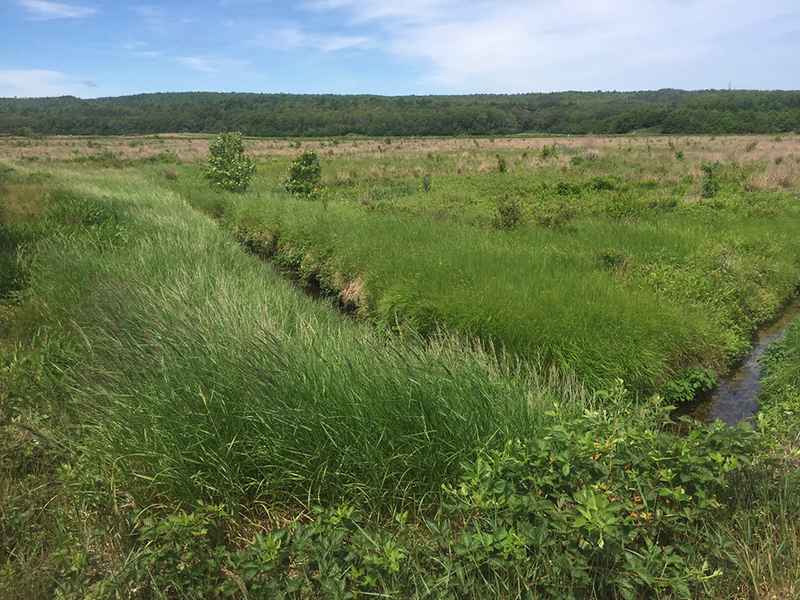 Although it was much smaller (40 acres), many of the same partners were involved which helped to set the stage for restoring Tidmarsh: the largest fresh water restoration ever undertaken in Massachusetts. When asked what he is most excited about, Hackman quickly reels off three topics. “The first is the chance to work closely with this family and other great people on land conservation. It is not common to share a big vision for a large conservation effort with landowners who have the appetite and patience to walk through the complexities of this shared adventure,” he said. Hackman sees this opportunity as a real gift. Secondly, as an ecologist, he is excited by the opportunity to work at the unprecedented scale of a coastal aquatic habitat restoration: all the watershed flows through 250 acres of former bogs. The aim is to try to undo the agricultural effects on the land and to help it heal over time. Lastly, the specific mix of partners—local, state and federal—works in a truly collaborative way, each partner bringing their own expertise, all working towards a shared vision. A permanent nature sanctuary for passive recreation in the village of Manomet will be made available to residents and visitors. The Living Observatory, which will provide diverse learning and educational opportunities for people of all ages and interests, greatly extends the breadth of this project. Blending technology with the landscape will provide a window on wetlands and wildlife normally invisible to humans. The use of low-powered sensors will capture variations in moisture, temperature and chemistry as well as sounds from the land. Video recordings will be streamed over the internet for observation, learning and enjoyment. This living laboratory will be a boon for those interested in the environment, geosciences, water ways and conservation practices. Living Observatory is a project intended to document and interpret ecological changes to allow people, individually and collectively, to better understand the relationships between ecological processes, human lifestyle choices, and climate change adaptation. Living Observatory is a collaborative venture between scientists, engineers, artists, agencies, foundations, the local community, visitors and supporters from around the world. 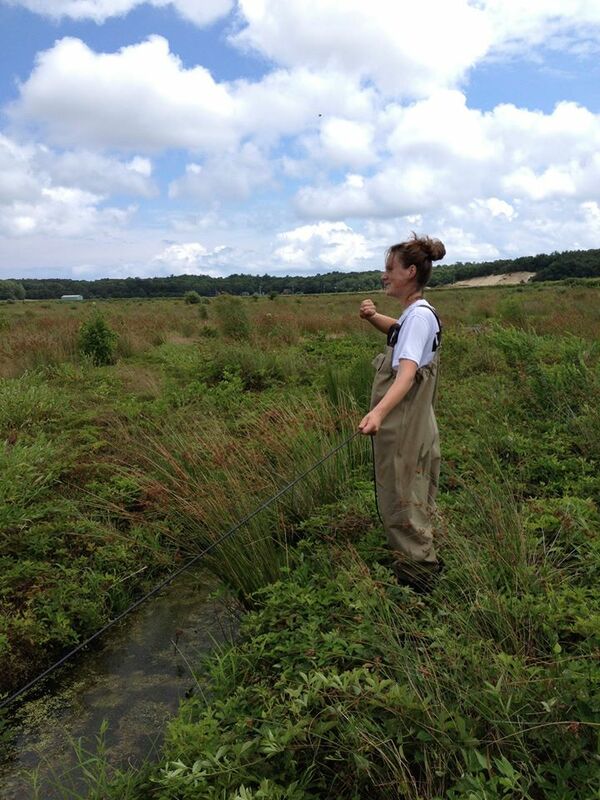 Key project partners include: Tidmarsh Farms; Living Observatory; Mass. Division of Ecological Restoration; USDA’s Natural Resources Conservation Service; US Fish and Wildlife Service’s Partners for Fish and Wildlife Restoration and National Coastal Wetlands Conservation Program; the National Oceanic and Atmospheric Administration’s Restoration Center; Town of Plymouth; Mass. Environmental Trust; Gulf of Maine Council on Marine Environment; American Rivers; Mass. Audubon Society; Salicicola; Manomet Center for Conservation Science; the Town of Plymouth and Manomet village; MIT; Boston University; UMass Amherst and UMass Boston; Rising Tide Charter School; Mass. Bays Program; local volunteers and more. For more information and a video, click on: https://www.youtube.com/watch?v=T8yZK_Pw32k. This multi-faceted project has created a perfect learning environment and the opportunity for the involvement of educational institutions, including the University of Massachusetts, MIT and Boston University. Hackman gives a shout out to the early work of David Boutt, associate professor in geosciences at UMass Amherst, along with graduate student Danielle Hare. According to Hackman, Boutt and Hare’s work was integral to understanding the subsurface of site and the hydrology of design so they could redirect channels and colder water to areas critical for cold-water fish to survive. Christine Hatch, extension assistant professor in geosciences, continues to play an active role in the collaboration of researchers further enriching the culture of learning. She has taken students on site to analyze the interactions of surface and ground water. Hatch has also participated as part of team of people planting white cedar to stabilize the site with vegetation native to this area. 20,000 seeds from Atlantic white cedar trees have been collected and are growing for future planting which is projected to be 2016 and 2017. The goal is to establish only plants indigenous to southeastern Massachusetts. 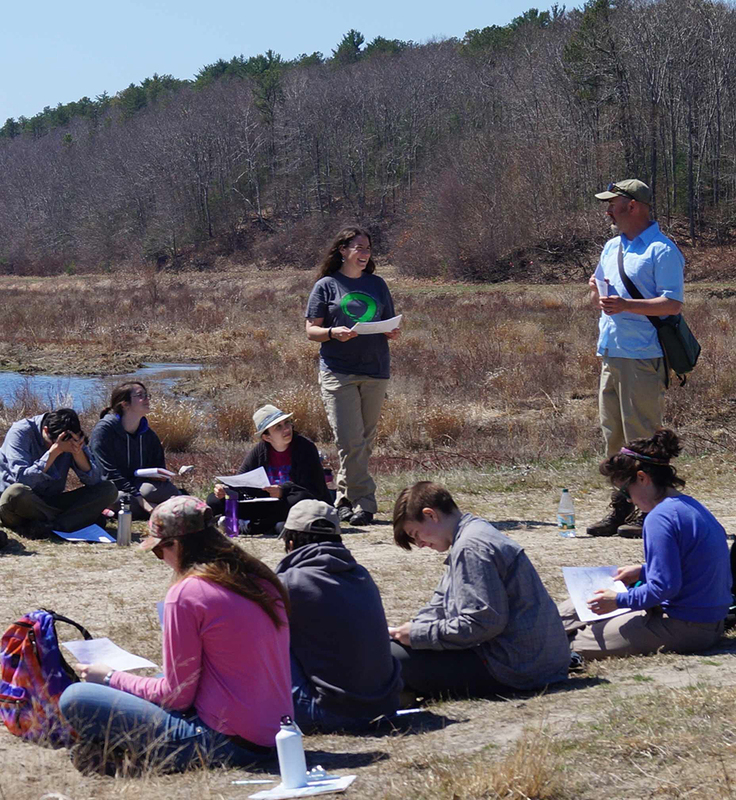 Hailing from UMass Boston’s Freshwater Ecology Laboratory (FEL), Professor Alan Christian and his students have studied this stream (Beaver Dam Brook) for several years, by investigating community and ecosystem structure and function. Professor Christian and his students have been studying macroinvertebrate and fish assemblages on a seasonal basis to look at the community structure through time. The FEL also is investigating how matter and energy flow through the system by looking at nutrient concentrations, nutrient limitation, and whole stream metabolism (oxygen and oxygen use). Overall, the FEL is interested how the stream community and ecosystem have changed over time has been a helpful piece of the complex puzzle. According to Davenport, in the grand scheme of all this activity, UMass Amherst and Boston faculty and their students contribute to the knowledge of the restoration team and the story that will be shared with the public. The passion and scientific pursuits already underway are proving to be useful in planning the work of how and where to bring back healthy wetlands.